Some of them are even missing their tails. 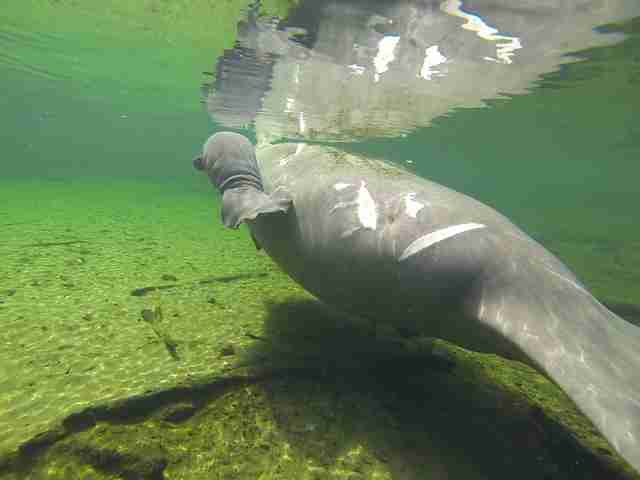 Michael Patrick O'Neill and his brother, Joe, were swimming in Crystal River, Florida, when they saw something pretty distressing — a young 3-year-old wild manatee with four long scars stretched across his torso. 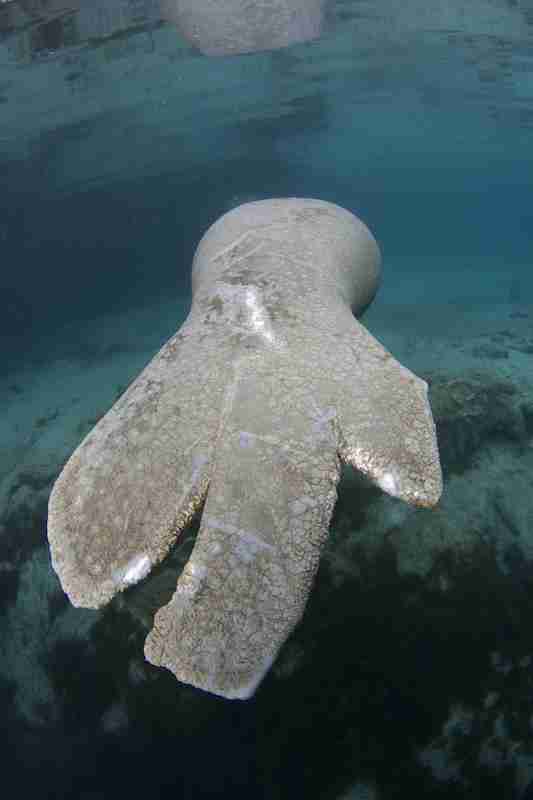 It looked like the manatee had been struck by a boat propeller. "It's heartbreaking, to say the least," O'Neill, a wildlife photographer, told The Dodo. "To start life this way is just not right. I think he was just lounging or swimming near the surface and he got nailed." Fortunately, this wild manatee's injuries appeared to be superficial, according to O'Neill, and the manatee seemed to be living a relatively normal life. But other manatees aren't so lucky. These slow-moving animals are frequently struck by boats, which can lead to deep wounds, internal damage and even death. "Manatees are these wonderful, graceful, large aquatic animals, but the fact of the matter is, they don't move fast," Jenna Golden, science and outreach coordinator for Save the Manatee Club, told The Dodo. 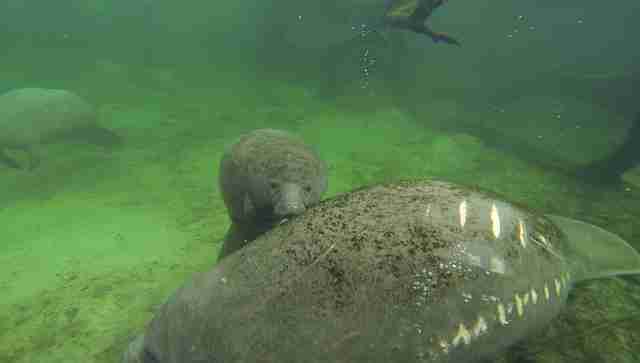 "They're also mammals, so they frequently come up for air, and it's difficult to see a manatee at the surface." Manatees live in the coastal waters all around Florida, and many waterways have speed regulations in place to protect manatees from getting hit by boats. But this often isn't enough. Golden believes that even this number is conservative, and that boats are killing more manatees than estimated. "There's always a very large number of unknown deaths, and it's likely that many of those are also related to boat strikes," she said. 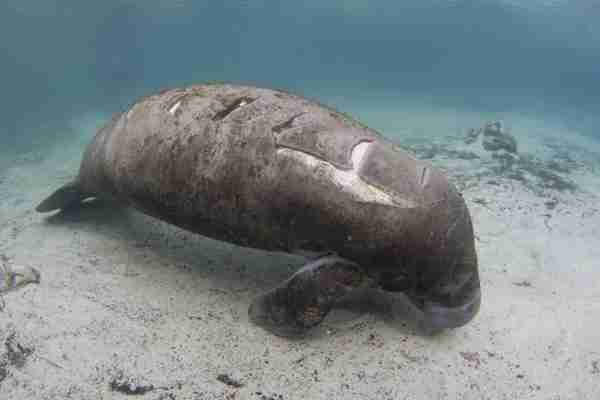 It's particularly tragic when a boat kills a manatee with a milk-dependent baby. "If the mom is hit, and the mom dies, that can obviously then lead you to a situation where you have an orphaned calf," Golden said. 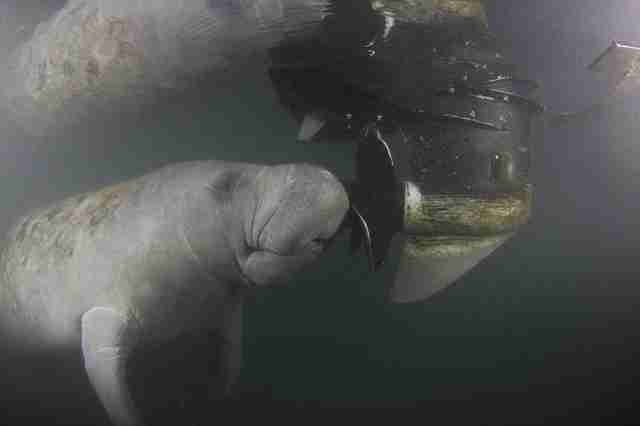 "So if a manatee is rescued in response to a boat strike, and it has a dependent calf with her, they rescue the calf as well, because the calf cannot survive on her own." Some manatees who survive being struck by boats can be successfully rescued and rehabilitated. Others have simply learned to live with their injuries. Golden knows of one manatee who gets around without two-thirds of his tail - he's been aptly nicknamed "No Tail." "He showed up one winter at Blue Spring with a particularly severe, yet healing, tail injury, where most of it was missing after a presumable boat strike," Golden said. "We do know that he has been around quite a while. Amazing what these animals can survive - he still gets around just fine!" 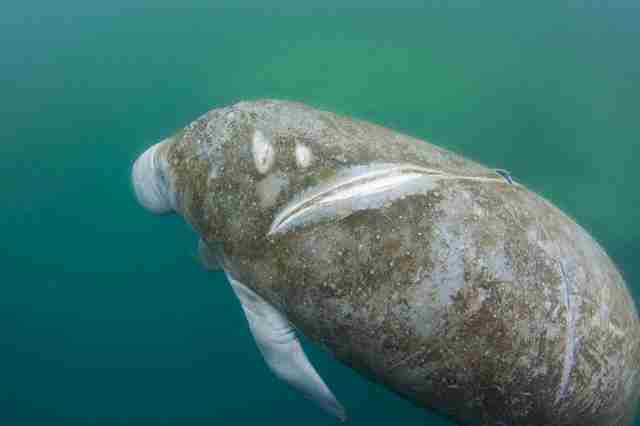 It's estimated that 90 percent of Florida manatees bear scars from boat collisions. 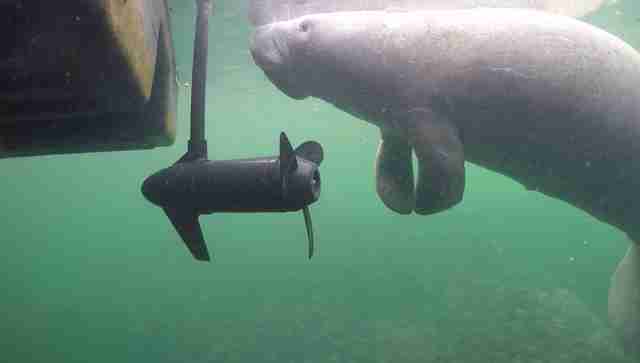 But it's not just boats that threaten the lives of manatee families. 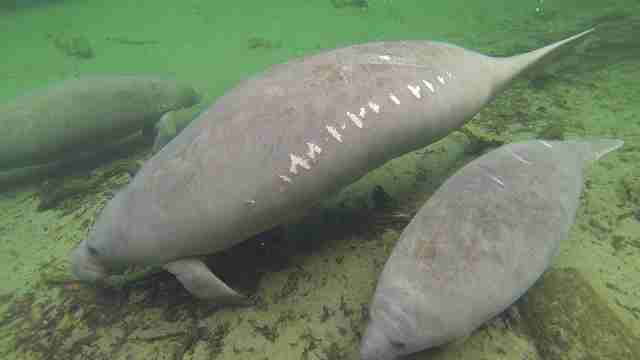 In recent years, algal blooms (also known as "red tides"), caused by nutrient runoff from agriculture and water treatment plants, have created out-of-control algae growths that kill off the seagrass that manatees eat. 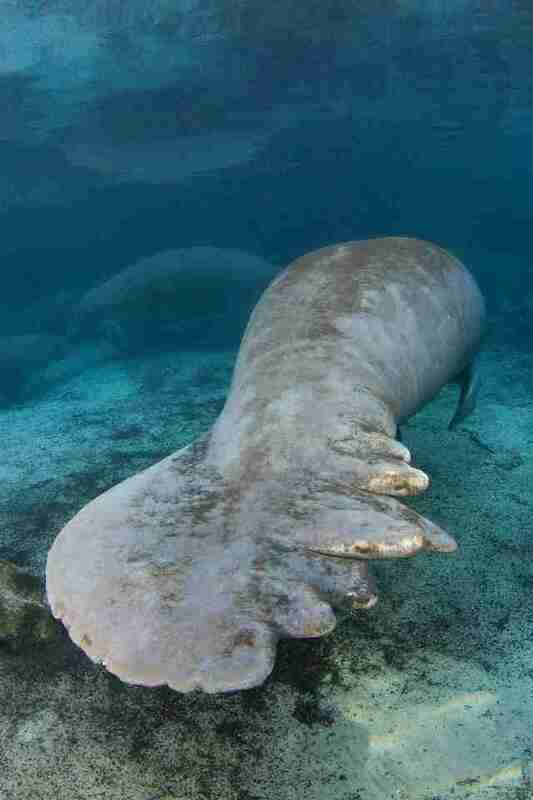 With their normal food gone, manatees tend to eat red seaweed, but this is deadly because it contains lots of toxins. Despite all of these pressures on the species, the U.S. government recently delisted Florida manatees as an endangered species - now the species is merely classified as "threatened." 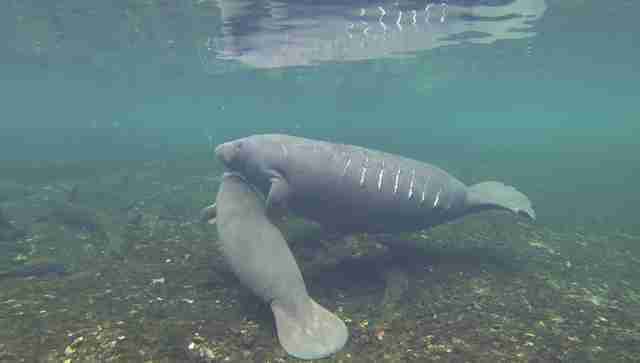 This delisting has a lot to do with the species' growth in population - there are now 6,620 Florida manatees, according to Florida Fish and Wildlife Conservation Commission. 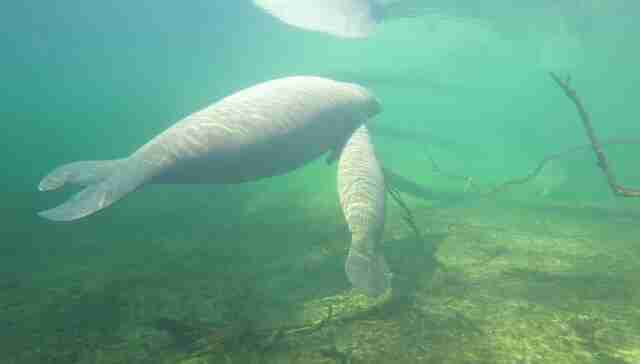 While this might seem like good news to some, Golden doesn't think this delisting was a wise move, especially as this past year saw a record number of manatee deaths by boat strike. "People are celebrating, because sure, it sounds like a good thing, right?" Golden said. "Manatees are no longer endangered. But unfortunately, there's a lot more behind it that people are unaware of." 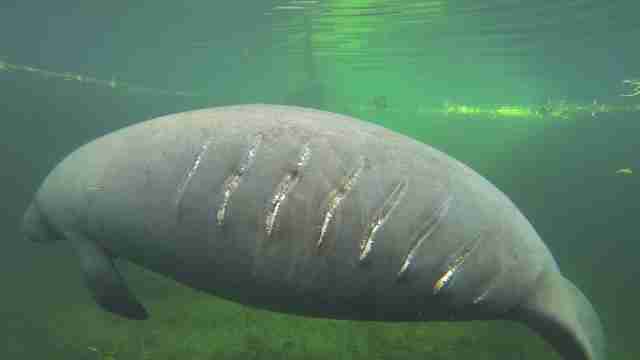 She said the manatees still face a number of threats, including an increasing number of boaters, and need as much protection as they can get. 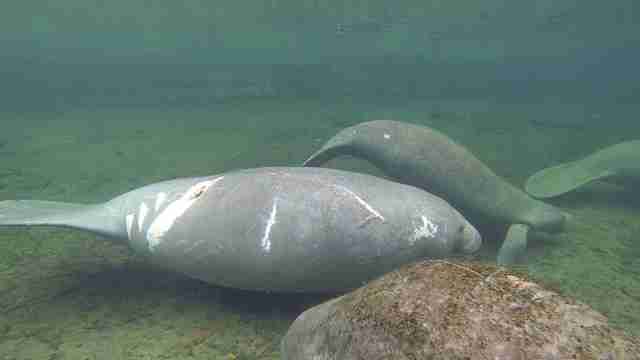 "We are strongly opposed to manatees being taken off the endangered species list," she added. Another way to help is to sign up for the Save the Manatee Club's action alerts, or to sign this petition. "Everything comes down to education and awareness," Golden said. "We need to understand that manatees are still facing these issues, and be responsible in terms of your waterways, and be responsible in terms of our daily actions. The oceans are all connected, and we need to keep it a nice, healthy place."